We have only today and tomorrow to go in our amazing Summer Countdown of giveaways! And this week; we have THE BEST toy prize in celebration of the Shopkins App; Shopkins Happy Places. We have nearly £50 of goodies from Shopkins to give to one lucky winner, along with a £50 Amazon voucher as well – how about that?!!? Shopkins World Vacation Blind Bag – includes 1 Shopkin in a single room. Alongside the app – this is plenty to keep the kids entertained, don’t you agree? The app itself very much pays homage to the toys as well. It is available already on the Apple Store and Google play as well. You can even collect super cute Petkins as well! What rooms will you be pimping up today? SURPRISE! There is a delivery, but who knows what Petkin is in the parcel? Could it be common, rare, ultra rare, or possibly even heir loom? Hurrah, we’ve got the Party Bunk Bed, which is great for being able to create a perfect place for a slumber party! Play the game to unlock Happy notes, so that you can collect even more Petkins, for even more decorating fun! What’s next? Perhaps a kitchen so that Coco Cookie can make some wild and wacky food!?! You can challenge and style it up with your #HouseGoals too, in Makeover Madness, Movie Night, and then share your story with family and friends, so they can see those style skillz for themselves. Why not download it today and GET STYLING? Share the individual url you are given with your friends, and if any enter on the link; you get MORE chances to win! What a bargain! 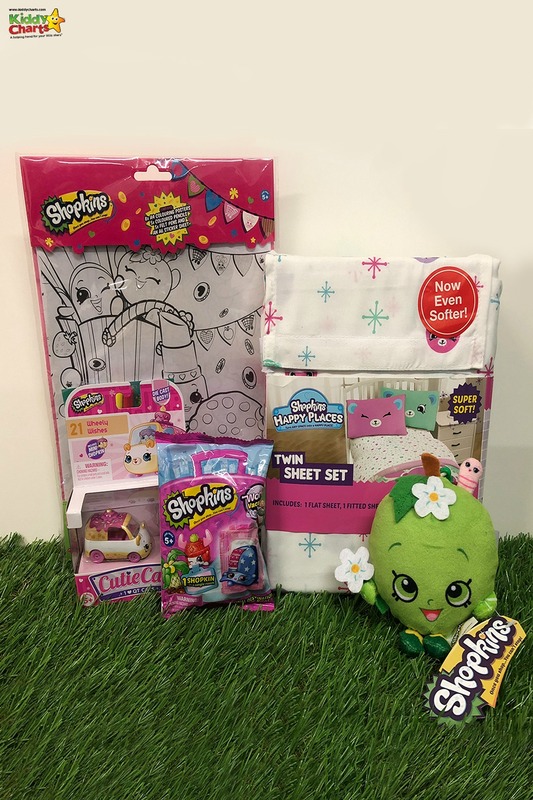 Day 2: Win a Bundle of Shopkins Toys and Amazon Voucher to celebrate the Shopkins Happy Places app release! This giveaway is subject to the usual T&Cs on the site, and is for UK residents only. It closes on 16th August at 11.59pm. Only UK entries. If you like this, then do please join our mailing list, so you don’t miss our giveaways, or the other free printables that we provide on the site. We also do excellent advice, and reviews here too….why not sign up and find out? Thanks as always for stopping by and visiting us.